He started with chasing my middle child. There were several things that brought this about, so the two chasing incidents were not an automatic strike against Agador. My middle child is… energetic. He loves to go out and play with the chickens and unfortunately, slow and respectful are not traits the boy has in the chicken yard. He spends his afternoon running around like a mad man, thunking things with sticks and swooping up the more docile hens. I can see why Agador may have seen this as a threat against his flock. …until Agador no longer viewed me as the top of the pecking order. I’m not sure why my “boss” status is all of a sudden being questioned, but just the other day the rooster seemed to think he could usurp me. He was mistaken. A few days back I was crouched down in the yard, examining from a distance the bum of a skittish hen. She had a bit of a rash and I was hoping to determine if it warranted me attempting to catch her for treatment (which would have been stressful for both of us). Agador brought me a pine cone while I was crouched down. Cute, but potentially a bad sign. He was trying to “woo” me. Roosters don’t make passes at the boss, only to the hens that are beneath them. His dance that followed sealed the deal that he viewed me as one of his hens. My solution to “whose the boss” problems is to pick up the rooster gently and wander around with it for a bit. When he sits quietly in my arms for 10 minutes or so, he is released back to his girls. It’s a matter of choice, but I don’t feel comfortable displaying my dominance with rooster tactics such as being loud, intimidating or hurting him. First, I find these tactics cruel. Second, I believe that aggression breeds aggression. Third, I am not a rooster nor do I want to pretend to be one. He knows I’m not really a rooster. It’s not like I’d be fooling him. The gentle holding and walking around with roosters is what got us through the testosterone surge at six months old. I had two roosters at the time and any time either one rushed me, I would walk around with them. Agador took the carrying practice much better than Chantecleer. Agador settled quickly, but Chantecleer took a bit longer to accept his lot. The testosterone surge doesn’t often bring out real aggression. It is sort of like the teen years of testing the waters. Most roosters will only rush people (run at them and stop a few feet shy with a look of “What are you going to do about it?”). When a rooster rushes you do not step back. It goes against human nature, but it is so important. That one tiny shift of the weight leads them to believe they have won. Sometimes your rooster just feels like being a jerk. It can be temporary or permanent. My hope is that Agador’s current attitude is a result of him having a feather across his vent due to the wet weather or the fact that he was stuck inside while I treated the chickens for a respiratory infection. Hopefully he will go back to being the sweet rooster I know he is. He may not. Then it becomes a question of what to do about it. Do I want to deal with a rooster with an attitude problem? Would he reset in a new environment and do well-being re-homed? Should I start checking my cookbooks for a nice jerk chicken or curried chicken recipe? Only time will tell. No one said it was easy keeping roosters. « Tiny Houses: Could You Do It? I love this article! I’ve had backyard chickens my whole life and grew up with a rooster who was beyond mean. We had a ton of animals that constantly tried going after them so we ended up keeping our giant Rhode Island Red roo (Rudy) for a longgg 13 years. He killed a raccoon protecting his girls once! Now that my husband and I have our own space we got 4 little ones and one turned out to be a beautiful golden laced wyandotte roo. I’ve been very adamant about interacting with him as much as possible. They grew up walking around the backyard with my dogs and never bothered each other. At one point the hens would walk around and follow the dogs! The roo (Pedro) always kept his distance, but would make sure his hens were ok. Today when I let the little flock out Pedro immediately started chasing one of my dogs around and she laid down submitting to him, unfortunately they don’t speak the same animal language. I immediately picked him up and made sure my dog was ok. Luckily she was perfectly fine. Now I’m unsure what to do. I feel that now he knows he can go after the dogs it’s just going to get worse. I obviously can’t teach my dogs to carry around chicken treats or have them pick him up! Lol He has charged us a few times, but never did anything once he realized we weren’t budging. I’m glad my dog was ok this time, but now it seems like it’s going to be stressful trying to keep an eye on everything. Any advice? My sweet, friendly rooster who is about a year old suddenly became aggressive about 1-2 months ago. He has attacked my legs while my back was turned a couple times, he has come after my 6 year old a few times and scratched his leg pretty good once, and he didn’t like the looks of the Walmart bags I was carrying the other day and tried to spur them while I was walking through toward the house. He’s a beautiful Amerauca and I’d love to have my sweet boy back. I’d like to try the “yard tour”, but none of my chickens are too keen on being held and they are impossible to catch. Any tips on how to catch him, and not get clawed to death in the process? Thanks! HI, could you please tell me the breed of rooster on the title page please? I have one so similar and would love to know! I don’t have a rooster but my neighbor does. I do have 9 6-week-old chicks and one mature hen (the chicks were purchased pre-sexed). My neighbor’s rooster keeps coming into my yard wanting to mate with my hen and I’m afraid that he will attack my chicks whenever they’re trained and old enough to free range. Also, I have dogs. The dogs don’t bother my hens but they do attack the rooster whenever he’s stupid enough to come into the yard when the dogs are out. The rooster has already been attacked twice (second time being this morning). Would adding a rooster to my flock keep our neighbors rooster away or would that just cause more drama? It could go either way. 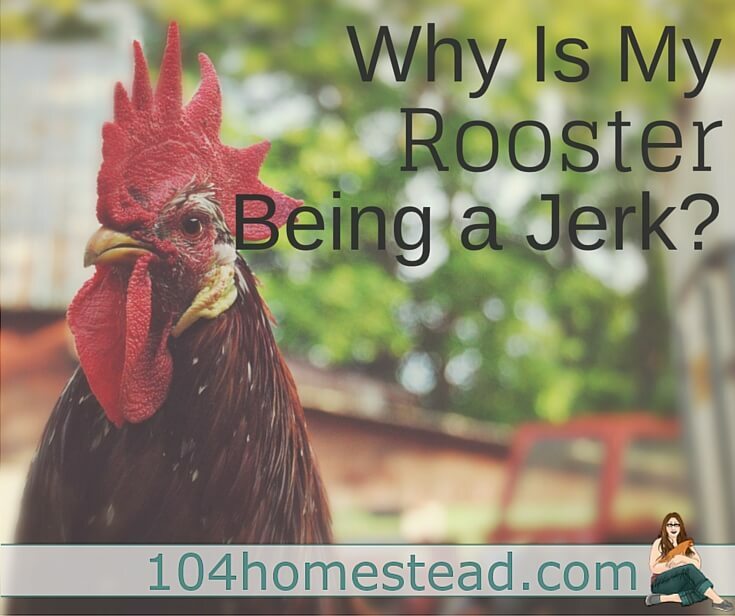 The presence of a rooster might keep the neighbor’s away, but if he’s decided your flock is his own, he may battle to keep them. Sadly the only way to find out is to give it a try. I don’t think he’d bother the chicks. I imagine he can see them when he’s in your yard??? I’m having a problem with my rooster. I heard the meat is tough, is that true? They can be a bit tough after 8 or so months of age. Many people use a slow cooker or pressure cooker to prepare roosters. We have (had) a beautiful Buff Orpington rooster that we acquired from a city friend who had gotten a roo in an unsexed group of chicks. Since you can’t have roosters in the city, we took him home. He hit it off with our hand-raised ladies. Four Barred Plymouth Rocks, four Ameraucanas and four Rhode Island reds. At first he would ignore us and just stay away when we were in the area of the henhouse. The ladies were hand-raised and will come when you whistle and sit on your lap if you sit down on the ground. The rooster (Cogburn) would just stay back and watch. Then he began to get aggressive. He’d flare his neck feathers and rush you, jumping up and spurring your legs. He broke the skin on my eighteen year-old daughter and scared the bejesus out of my wife and twenty three year-old daughter over and over again. We tolerated it for a while, but it made having chickens more of a chore and less of a joy like it was before. He’s only nine months old, but we decided a few weeks ago that he has to go. So… on Sunday I walked out to the henhouse. The chickens were out as it was a nice, sunny day. I noticed that they had knocked over their feeder and as I bent over to right it, he rushed me and pecked my hand hard. I stood up and said, “I’m so glad you did that. It makes this next part so much easier”. I was carrying my .22 caliber Browning BuckMark pistol so I drew it, took a bead on his head and popped him. It was clean and quick and I didn’t have to catch him. I carried him up to the house and we dipped, plucked and dressed him. I was sad because we like our chickens and have them for eggs, not meat. I just couldn’t stand the thought of having to play defense every time I was near the henhouse. That said, last night was a joy putting the chickens up for the night. Today, having chickens has been a real pleasure again. Being without him for only a day we can already tell he was a huge food hog. I don’t mind feeding a rooster and getting no eggs in return, as long as he takes care of the ladies and realizes where the food comes from. We will try again for a rooster, but this time we’ll hand raise him and see if that doesn’t make a difference. If we get one that shows signs of aggression, we’ll try that carrying him around thing like you suggest. I do love what roosters offer the flock, but as you said, it robs you of the joy of spending time with your chickens. Our last roo passed and I don’t think we will be replacing him. Even a well behaved rooster will keep you on your guard. I decided that after my first chickens died to get more but instead of white rocks I got Rhode island reds once I found out I had a rooster I removed him emidiatly not wanting the other hens to get there feathers pulled out I have three other free range chickens but only tries to mare with two my brother fell and the rooster (Chuck) jumped on him and scratched up his neck my dad hit him once and he doesn’t go after him anymore I hit him once and he doesn’t chase me but my mom is terrified and he still chases her my dad wants to kill him but I want him to have a full filled life what could I do? An aggressive rooster has the potential to be dangerous. Unless you are able to keep him contained away from your mother, I’m with your dad. We don’t have any roosters in our flock of chickens, but we do have a few drakes in the duck flock. They were perfect angels their first year of life. Then we added females and suddenly they started following us around and biting our legs and toes. We carried sticks around at first to shoo them away. One drake moved to a new home, but another hatched so we still have 3 drakes. Then I discovered the pick ’em up & carry ’em trick. Now when the boys come over to challenge us, we pick them up and carry them around for about 5 minutes. One drake backs off for a few days. The other starts back in later in the day, but we tolerate him (for now) since we hatched & raised him in the house last year. It’s nice to see that you found the same solution. Charlie’s food suggestion has worked with our most persistent drake at times too. Hopefully a mix of carrying treats, continuing to carry them, and narrowing down to 2 drakes will solve the problem. I’m glad to hear it works with drakes as well. One of my boys has been less than a gentleman with his ladies, but he has yet to try anything with me. He may get switched out with one of the younger ones I suspect is a drake. Like you said, there’s something about year 2 with drakes. They seem to settle down again after that. I think it’s a teenager “finding their own” phase. I have heard that giving your rooster food directly will sway his aggression. The logic is a rooster will never give food to a fellow rooster only his hens. Roosters are naturally competitive with other roosters, so by giving him food it can throw him off the blood path. You want to be dominant, but not perceived as a rooster. So like you said in the article aggression makes things worse as you are acting like a rooster by fighting. So far this logic has worked with our Rooster Titus. I usually carry a bit a food with me as often as I can. Cheers! I’ve heard the same and tend to do that with my roo. I have a Buff Orpington roo who’s a couple months shy of a year old. I keep my chickens in a yard since we have a lot of dogs and foxes around, not to mention the neighbor kids and my two year old who run all over the place. While Max (the rooster) had never really been a problem for me, I don’t let my daughter in the chicken yard anymore. He’s just too big for me to take a chance. I mean, he and my little girl (who’s about as tall as a five year old) are pretty much at eye level. He’s huge. The worst he’s done to me is rush me once or twice, but I always wear tall boots in the run so it’s not a bother. If I feel like he’s giving me the evil eye I just carry a rake or a broom with me when I go into the run. I never even have to shake it at him–he gets the idea. I think if I tried to catch him and carry him around the yard I’d have some severe scarring to show for it though 😉 We just give each other space and things go well. I have raised chickens for many years. Due to stray dogs and dogs that were dumped from city folks. I had to keep mine in a run. It was large. With more than enough room for 50 hens and room to spare. the second run was for a winter run that I planted cucumber in during the spring. When I got off work at 3 pm I would let the chicken out since I was there. One roo was a real jerk. never bother anyone unless he and his girl friends were in the run. I got tired of scratched leg. and started carrying a straw broom. For some reason he was afraid of the broom. I would set it in the door way of the hen house and he would just stand there and come in. Go figure. It worked on that one. The worst was a little bantam guy. He was a tourist. I had found him living in the barn with one girl friend. Took a month to catch him clip a wing and put him with the bantam hens. Got lots of nice little chicks from him and his 6 wives. Nothing would stop him. Finely he went in the stock pot. His son took his place Sundance and after a little talk with him about how chicken and noodles were made. NO problems. Oh by the way his name was Bill. After Billy the Kid. I love that name 🙂 Agador died mysteriously last week. I hate to say that no tears were shed. I love this post Jessica! I have helped people to rehab their roosters and “The Yard Tour” and holding them makes SUCH a difference in their temperaments. We have to do “Refresher Rooster Rehab” now and then, but we enjoy cuddling them. Of course, they’re completely disgusted, LOL!! I have no hens, I have no roosters, but I still love reading your posts, because eventually I will have both. That makes my day to hear Eric. I love my little flock, even when the hens are on strike and the rooster is behaving badly. They are so fun to watch and the eggs they provide are beyond delicious. Just be forewarned, chickens are the gateway livestock. Soon you’ll be adding ducks and turkeys. 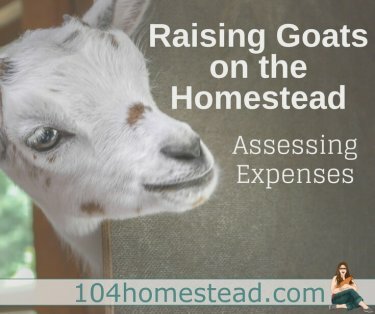 Then you’ll be measuring the yard to confirm whether or not you can fit a couple of milking goats. Thanks for the article! I thought I had lucked out with a sweet little bantam roo, but he’s only 19 weeks old, so now I’ll know to watch out for aggression in the next couple months. Right now the bully of the flock is my lead hen. She frequently chases and pecks the others, including my little roo. Sometimes she’ll even peck me when I pet the other hens! We had to cull and put our one year old rooster, Alex, into the freezer. He was always a happy-go-lucky- guy until one day out of the blue he attacked our 3 year old just sitting on the lawn. We thought it may have been a fluke the first time so we did nothing. When he tried attacking me the next day we decided he was destined for the crock pot.